Comfortable, airy double storey house, 250 metres from the flags at MacMasters Beach. Sea breezes and ocean glimpses from the huge, north-facing deck. 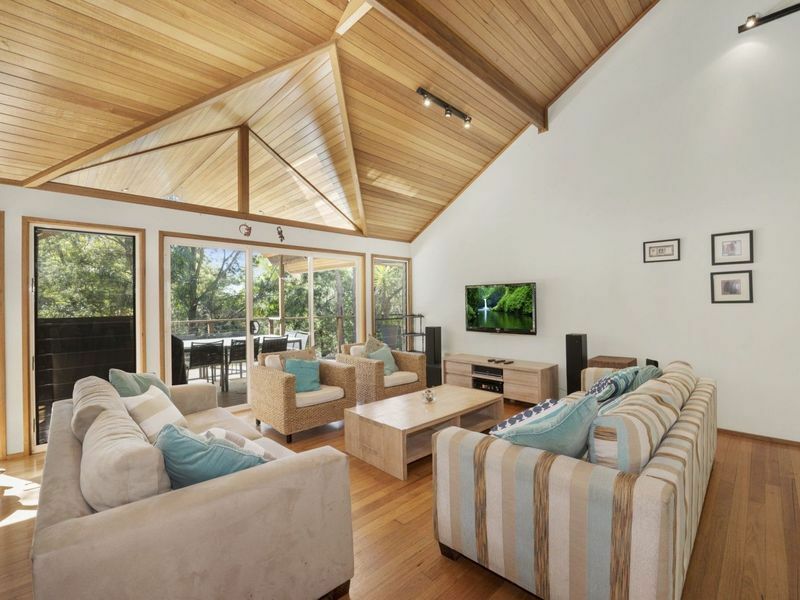 The property is nestled in a bushland setting and adjoins Bouddi National Park, making it extremely tranquil and private. Step off the back deck onto walking tracks to MacMasters Beach, Little Beach and beyond. 250 metre walk to Mac's cafe at the Surf Club. The central open-plan living/dining/kitchen area has beautiful wooden floors and a vaulted ceiling. Kitchen features gas cooktop, microwave and dishwasher. This area is flanked on either side by two bedrooms and a bathroom, making the house ideal for two familes. Bedroom one contains queen size bed and opens onto the deck. Bedroom two has a double bunk and a single. Bedroom three contains queen bed. Bedroom four has a double bunk and queen sofa bed. All bedrooms have bushland outlooks. Linen not provided. House was in a perfect location. Good size, great layout, good kitchen etc. Ideally would have been wifi and the BBQ knobs didn't work properly. Otherwise fantastic, would stay again.